I am working on the 2.8 version, and its already available for download along with the 2.79 version, there will be improvements on stability and features for further updates. + Added save/load for envelope armature presets. + Improved optimzed remesh algorithm. Warning: This addon only work with the official blender 2.79. Its not meant for daily builds! + Added Import/Export to light presets. When I had the idea for this addon, It was just meant to be a remeshing operator. Just to help save time when dealing with mesh resolution. But when I posted on facebook an experiment, things went crazy, people started sugesting great ideas. I compiled some of them in this addon. So lets by parts, with begin, middle and end. I'll start by the middle. In this addon, almost every feature is linked though the shortcut "ALT + W". Now we have the "Mask Deform", an manipulator that deform a model with sculpt mask! See it in action! Also the new "Mask Split" tool separates masked from unmasked parts of the mesh, a more fast approach to separating dense meshes into pieces! 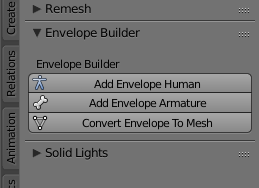 "Add Envelope Armature" Creates a humanoid model with an armature that you can edit then convert to mesh. "Add Envelope Bone" Creates a single bone so you can create your own base from scratch (If needed). "Convert Armature To Mesh" As the name suggest, convert the armatures to editable meshes. "Optimized Rmesh" Rebuilds your model out of quads so it's easier to sculpt, it can add multiresolution while preserving details. You have acess to the three basic boolean operations ("Union", "Difference", "Intersection"). Plus a special cutting tool "Slash Boolean" Which enables you to cut extract pieces and dig holes on solid meshes. This is a pannel where you can personalize the look of the solid display on the view port, you can save and load light presets . There's the "Ramdom Colors" button now. Just click it and the colors will be ramdomized for each object, great for viewing separations. This addon for Bender (2.79) that provides a set of tools to improve the sculptor's workflow. Click here to view how to install the addon. 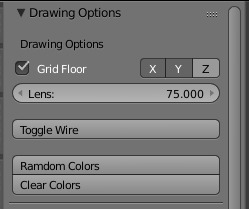 "Grid Floor" same as on the 3D view properties panel. "Toggle Wire" enables/disables wireframe display on selected object. "Random Colors" randomly change the color for every selected object. "Clear Color" revert the color ramdomization from "Ramdom Colors"
You must just select more than two or more mesh objects and click on Add, Sub, or Intersect buttons. You have extra options of drawing cuts with the various slash options. "Cut Thickness" is the distance between saparated objects. "Cut Distance" is the distance the cut travels trough the objects from the 3D cursor. "Draw Slash" cuts the active object in freehand mode. "Line Slash" cuts the active object in a straight line. "Polygon Slash" allow for precise cuts using the polygon stroke. 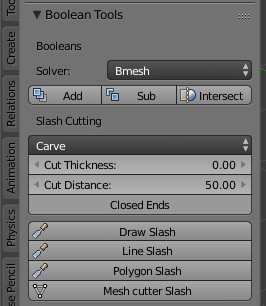 "Mesh cutter Slash" cuts the selected meshes using the active object as knife. Also, accessible on object mode though Alt + W shortcut. "Extract Mask" duplicate the masked surface and solidfy it, (usefull for hair, clothing, layered parts). "Mask Split" separate masked from unmasked parts of a mesh to different objects and close all holes. "Add Mask Deform" add a manipulation rig to the unmasked parts (usefull for posing sculptures). 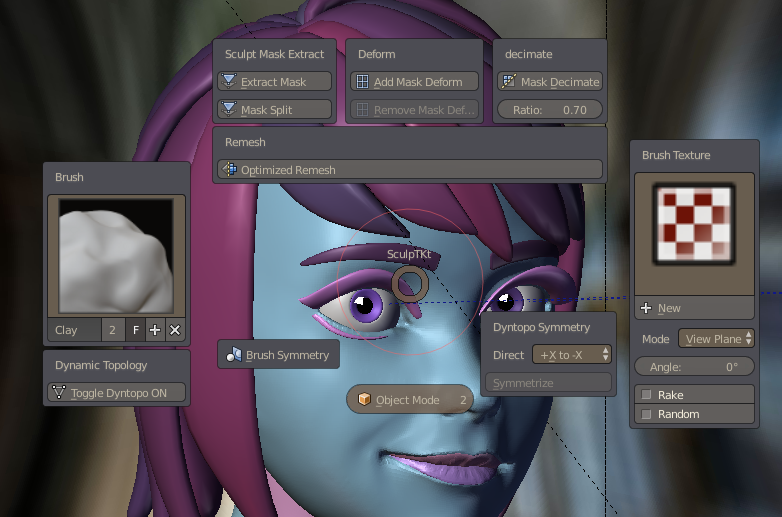 "Remove Mask" applies the rig and remove it from the mesh. "Mask Decimate" as the name suggests, only decimate the unmasked parts of a model. 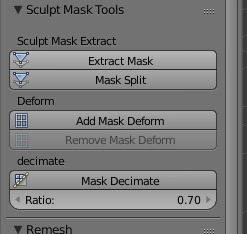 "Mask Decimate" reduce the mesh complexity, of only the unmasked parts of your mesh. 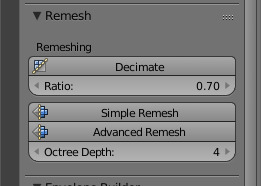 "Simple Remesh" does the same as "Advanced Remesh" but only takes in account the octree depth (Single click tool). 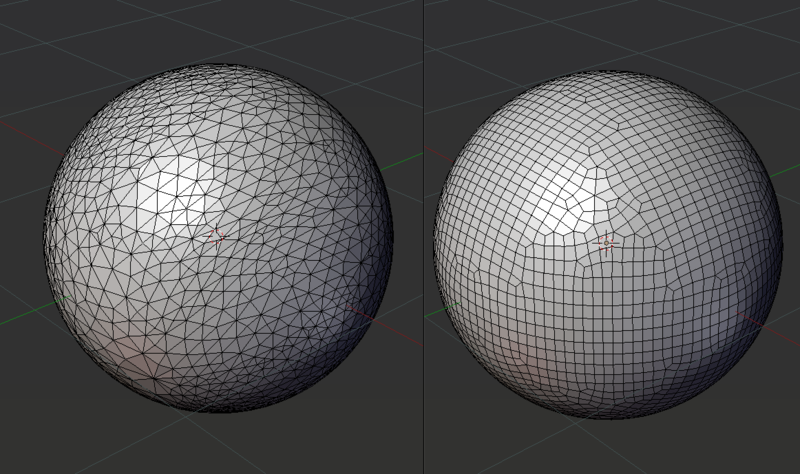 "Advanced Remesh" creates a quad dominant mesh from other solids, good for generating base meshes. "Add Envelope Human" creates a basic human model out of bones. "Add Envelope Armature" creates a basic armature so you can create a base from scratch. "Convert Armature To Mesh" creates a mesh out of the armature previously generated, perfect for fast basemeshes. It is a panel where you can setup, well, the solid lights of your 3D view, And also save and load previously created light setups as presets. This doesn't have shortcuts yet. How I install this addon? Brilliant! Envelope Bone armature completes the sculpting experience...I have the pie menu (alt-W) set to my pen button for my tablet for a very immersive creative experience. Well done! Das Tool mag ja gut sein , leider gibt es kein Erklärungsvideo dazu. Ein Video wie man die einzelnen Aktionen richtig anwendet wäre von Vorteil vor allem für die nicht Englischsprechende . I don't speak German either, I wanna make an explanatory video but I'm not quite confident if my pronunciation is good enough. And most products in this site are English. Hello, listed, Going to fix. And, I can't wait to update it for 2.8, lets see what else I can add as extra features! An issue I have with it doesn't necessarily have anything to do with the kit itself but instead the scaling of the pop-up window that appears when I convert an envelope character into a mesh; the box isn't wide enough to show all the text or numbers and I have to hover my mouse over the number field to read the full text, which is a little bothersome. I still highly recommend this asset. $15 sounds like a lot but I can assure you in saying it's worth every penny. 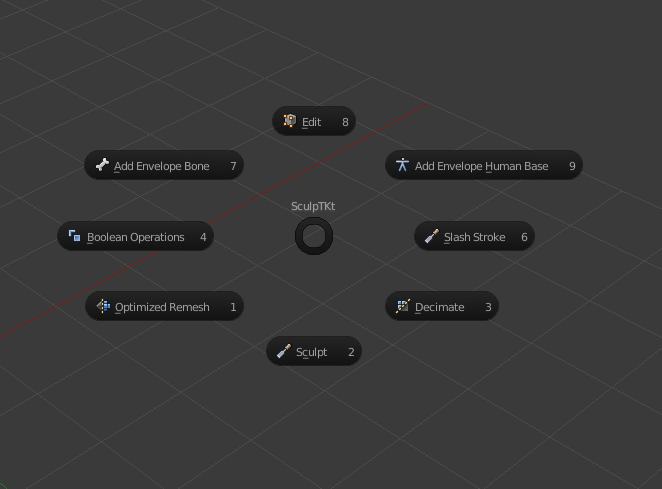 Use this tool alongside other sculpt tool addons for an enhanced sculpting experience.